Add this Dead Sea Salt to a large pan of warm water and give your feet a new life. 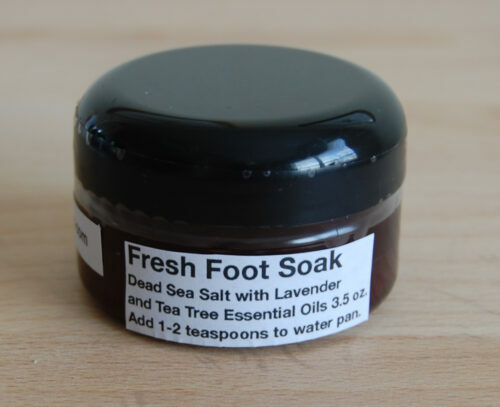 The salt will help relax your feet and the lavender and tea tree essential oils refresh and sanitize tired feet. This is also a great foot soak for teen aged boys who seem to have foot odor during their teen years. 15-30 minutes is all it takes. 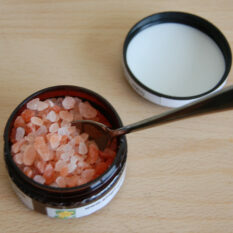 Ingredients: Dead Sea salt, Lavender and Tea Tree essential oils. 1 oz./vol, 3.5 oz./wt.